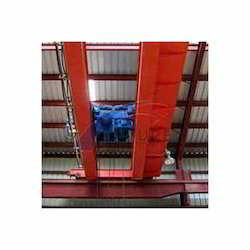 Our organization is counted among the recognized names engaged in offering supreme quality Double Girder EOT Crane. This range includes Electric Crane, Heavy Duty Crane, Material Handling Crane, Double Beam Crane and Double Beam Overhead Crane, to name a few. Manufactured using high-grade raw material, these cranes are known for their high performance, smooth operations, low maintenance and high load bearing capacity. 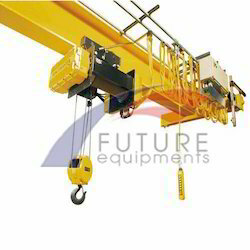 We also offer these cranes in various specifications to meet the diverse requirements of our clients. With our expertise in this domain, we are able to manufacture and supply a quality range of Double Girder Crane. These crane are manufactured in tandem with the norms of the industry and so for the reason appreciated by the customers across the region. 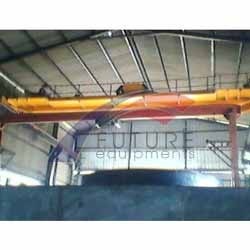 To manufacture these double girder crane, our professionals make use of optimum quality material and employ latest machines. 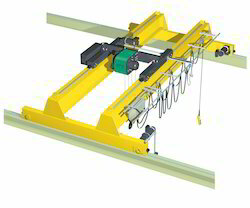 Customers can also avail these double girder crane in custom-built range as per their needs. Understanding the requirements of the patrons, we are also engaged in manufacturing and supplying Double Girder Goliath Crane. All these girder goliath crane are developed at our sound manufacturing unit, according to the norms and standards already laid by the industry. In order to develop quality range of crane, our experts supervise the production process at every stage. With an aim to fulfill the demands of the customers, we also manufacture these crane in customized range as per the specifications provided by the clients. 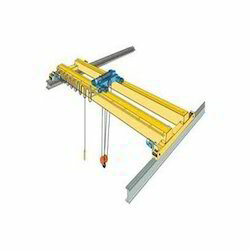 We have established ourselves as a renowned manufacturer and supplier of Double Girder Overhead Traveling Crane. The overhead Traveling crane we are offering are manufactured in compliance with the established norms and standards of the industry. In addition to this, our professionals make sure to use modern machines and premium quality material to manufacture these overhead traveling crane. We are into manufacturing and supplying supreme quality Industrial EOT Crane. These crane are manufactured as per the international standards and norms using superior quality raw material and sophisticated machines. The offered crane are also available in various specifications to meet the diverse requirements of our clients. We are among the prominent organization engaged in manufacturing and supplying Double Beam EOT Crane. Manufactured in accordance with the guidelines of the industry, these cranes are highly appreciated by the customers for their quality standard and performance. Our professionals utilize quality-tested material and modern machines, while manufacturing these cranes. A team of deft professionals monitors every stage of production, so as to develop quality range of cranes. Abiding by the ethical norms of the industry, we are engaged in manufacturing and supplying Double Beam Overhead Crane. 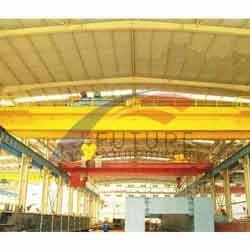 All these double beam overhead cranes are available in various specifications and in customized range as well, so as to meet the exact requirements of the clients. In order to develop supreme quality cranes, our professionals make sure to use modern machines and quality-approved material procured from the authentic vendors of the market. our experts examine these cranes on certain parameters already laid by the industry, to ensure their flawlessness. Innovation is our forte and we strive to manufacture and supply Double Girder Top Running Bridge Crane. The running bridge cranes we are offering are developed at our sound manufacturing unit, in tandem with international standards. In addition to this, our professionals make sure to use superior quality material while manufacturing these bridge cranes offered by us. All these cranes are made available by us in various specifications and also in custom-built range as per the specifications provided by the customers.